A series of cases over the last few years has highlighted the need for co-operation in divorce proceedings before the courts. Failure to co-operate, particularly in the disclosure of financial information, can ultimately lead to a prison sentence: and as cases such as Parkinson v Daley [http://www.tmfamilylaw.co.uk/2017/04/co-operation-and-contempt-in-divorce/] have demonstrated, this is no idle threat. With the real threat of a prison sentence underpinning the requirement to provide complete disclosure of financial assets, the case for co-operation is clear. While I would not wish to downplay the distress that divorce brings, there are several, obvious advantages to a ‘cards on the table’ approach, even without the threat of imprisonment. Reaching resolution to the divorce proceedings draws a line under the relationship and allows both parties to move on. Doing so quickly and as cooperatively as possible can have real long term benefits to all involved, especially when there are children to consider. Co-operation also reduces the need for additional court hearings and the escalation of legal costs which is in no one’s interest. Divorcing couples may not feel like co-operating, particularly in the early stages, when the divorce may be most raw and painful. However, increasing numbers of couples are recognising the benefits in the longer term of putting differences to one side in the interests of achieving a swifter and more flexible settlement. Collaborative law puts co-operation at the heart of the divorce process, and allows couples to work through issues such as financial arrangements and childcare details leading to a more intuitive and realistic setting. While courts are bound by rules as to the content of the orders they can make in divorce proceedings, a key benefit of collaborative law is the opportunity for each couple to draw up a settlement that is uniquely tailored to their circumstances. Even if collaborative law, which involves the parties and their lawyers discussing the issues face to face, feels like a step too far, other forms of dispute resolution such as mediation are available. As with collaborative law, these other forms of dispute resolution achieve the divorce in a less stressful, and more timely, cost-effective way. 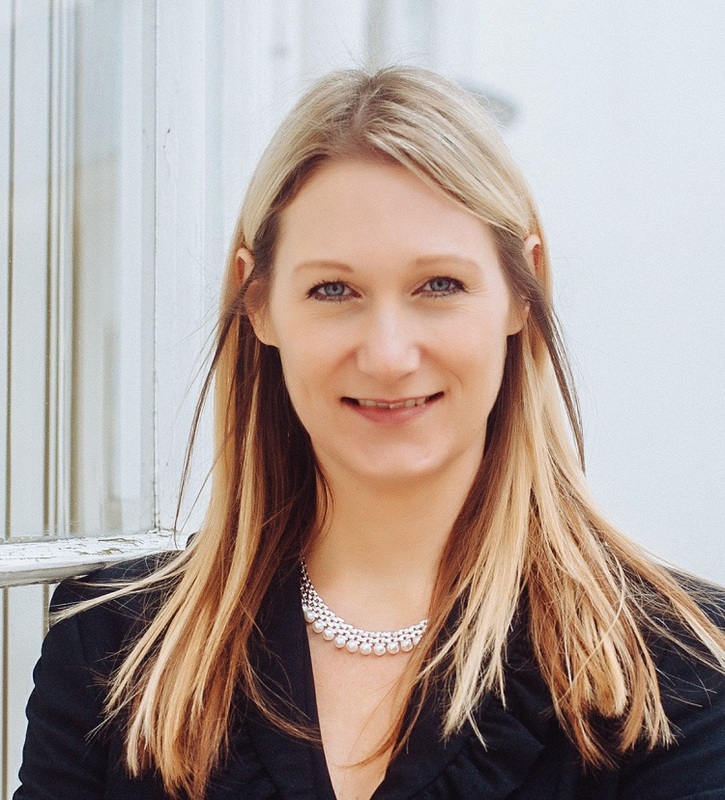 Given that the courts will ultimately require co-operation and disclosure of assets and liabilities during a divorce, it makes sense for couples to ‘put their cards on the table’ at an early stage. Collaborative law offers a great opportunity to do this. I’ve explored the sanctions for non-cooperation with the court process, particularly in the context of financial arrangements, in more detail in my latest blog [http://www.tmfamilylaw.co.uk/2017/04/co-operation-and-contempt-in-divorce]. If you’d like to discuss how dispute resolution in general and collaborative law in particular works in the context of divorce, do get in touch! A friend of mine went on an organised tour up Mount Everest and was the only one to come back with any photos. Why? Because she kept her camera battery in her bra! In really cold conditions, your camera battery will ‘die’, thinking it’s run out. It will ‘come back to life’ again when it’s warm. My top tip is to take two sets of batteries, keeping one set close to your body heat and swapping them around as necessary. I also recommend you use well-insulated camera bags. Remember, you need to keep warm too, so wear many layers of clothing to avoid camera shake due to shivering. Get the exposure right A lot of snow in the scene can lead to under-exposed images with murky grey instead of crisp white, and loss of detail in dark areas. If you have a manual camera, you need to over-expose by one or two stops. If you use an automatic camera, fi rst point it at a shadier scene, a nearby face or even your own hand. Press the shutter halfway down and hold it while you turn to recompose the original scene. Press the button fully down for a perfectly exposed snowy image. Speed up for action shots If you take a standard snapshot of your beloved shushing down a black run, they will probably come out blurred. For manual cameras, you need to use a fast shutter speed such as 1,000th second. You don’t have to worry about F-stops as there will be plenty of light. On a digital camera, the ‘sport’ setting should give you a sharp result. Would you like to learn to be more confident? I’m really excited to present the Wisewolf “Learn to be Confident” Program to 1230 TWC. It is specially tailored to meet your needs. It consists of 5 one-to-one coaching sessions by Skype or telephone together with interesting exercises and worksheets. Below you will find additional information on what is included in each session. • Have you ever really thought about how confident you are? • In which areas of your life are you lacking in confidence? What has made you this way? How do you come across to others? • With Understanding Confidence, I will give you the tools to help you identify the answers to these questions. • I will also show you how to understand body language (crucial to developing confident relationships) as well as how to talk to anyone, anywhere. • This is an essential ‘first-step’ for anyone wishing to embark on a more confident journey. • Have you ever convinced yourself that you are bad at something? How did it affect your performance? • The fact is, when you want to become more confident it is important to have a confident thinking style – to be optimistic. • With The Skills of Confident Thinking, I will help you to identify and challenge some of the most common thinking errors that drain confidence. You will consider the way in which your thinking affects your feelings and, in turn, how your feelings dictate the way you behave. • Life is as good as you make it and this begins with the way you think, so The Skills of Confident Thinking is an invaluable stage in the process of becoming confident. • Do you know how to get the most from your own and other peoples’ emotions? • In The Skills of Confident Feelings I will show you a range of emotional skills that you can use in many different situations to increase your confidence. • You will consider the importance of learning to praise yourself and others and you will also discover how to manage confidence-draining emotions such as depression, guilt, anger, shame, humiliation and anxiety. • This information packed session will give you a fundamental head start in influencing not only how you feel, but also other people’s attitudes towards you. • How do you cope with difficult situations? Do you have the ability to deal with challenges competently? Do you find it difficult to be assertive? • The fact is, the more skills you have to sort out the challenges that life brings, the more quickly and effectively you can deal with the situations presented. • With The Skills of Confident Behaviour, I will equip you with the necessary tools you need to handle difficult situations effectively and with confidence. I will guide you through the process of how to develop problem solving skills. • You will also learn the skills you will need to become more assertive and, in turn, more confident. • This content filled session will be an invaluable resource for any number of circumstances. It will provide you with the necessary skills to help you keep in control and handle situations more confidently. • How often do you catch yourself saying, “I would love to but I don’t have the time”? Do you find yourself wishing things were different but unable to find the time to make the changes you want? • There are many conflicting demands on your time such as balancing work, day-to-day activities, home and social life. The Skills of Confident Living will help you to develop the time management skills you need to live your life effectively. • You will be able to develop the skills required to identify and manage the kinds of stresses that you may be facing that could be undermining your confidence. • I will also help you to consider whether your diet is supportive of your confidence or whether it hinders your abilities. • I hope you find this information useful. This is a new program and for a short period it is available at the special price of £200 UK. This includes five personal coaching sessions and all materials. But for 1230TWC members I am offering a further 10% discount. Just wanted to let you know that I will be on the radio next week talking about my book, BIRTH MADE EASY. It will be a telephone interview of about 10 minutes. The radio is a web based radio station called RedShift Radio. You can listen in live by clicking the link on the web page. I will be interviewed by Mumtaz Hussain. Her show is on Wednesday 25th January from 12.00 – 2.00pm. My interview will be at 12.20 or 1.20 if any of you are able to listen in. How do you prevent your fingers, keyboard and mouse from being sticky as you snack on Twiglets as you work? Particularly when burning the midnight oil. This was a topic touched on at a 1230 TWC meeting recently – amazing the number of suggestions which evolved – virtually a new business developed out of our thoughts! I think the champagne generously shared by a certain 1230 TWC Member could have added to the seriousness of the topic – not! The wackiest, most innovative answer gets the prize of a FREE 1230 TWC meeting. Answers please to meetings@1230 co.uk by Tuesday 10 January. I have been studying Nutrition and weight management and have passed successfully. Nutrition has always been a keen interest of mine so now I have packed up the Jewellery and finished at Friction and am doing My nutrition full time. You can find me on facebook S.M.A.R.T nutrition and weight management. I am hoping to get to some more meetings now but Wednesdays are our as I work out of Haywards Heath at a gym. I’ve written a 37 page document packd with content on what to focus on, what to avoid, how to get focused results for your unique businss, and how to put you into your online marketing. A series of 4 Free video Trainings providing you with valuable time saving tips on creating a strategy for your social media and internet marketing, identifying your niche for marketing online, uncovering your unique strengths to create a personality brand and a secret weapon to take you ahead of the game! 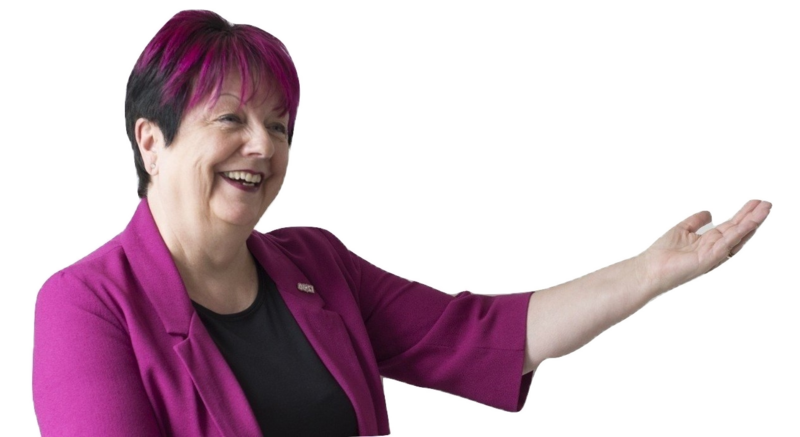 If you’ve been to any of my taster session you’ll know that I’m passionate about helping you create a long term solution for your business online. 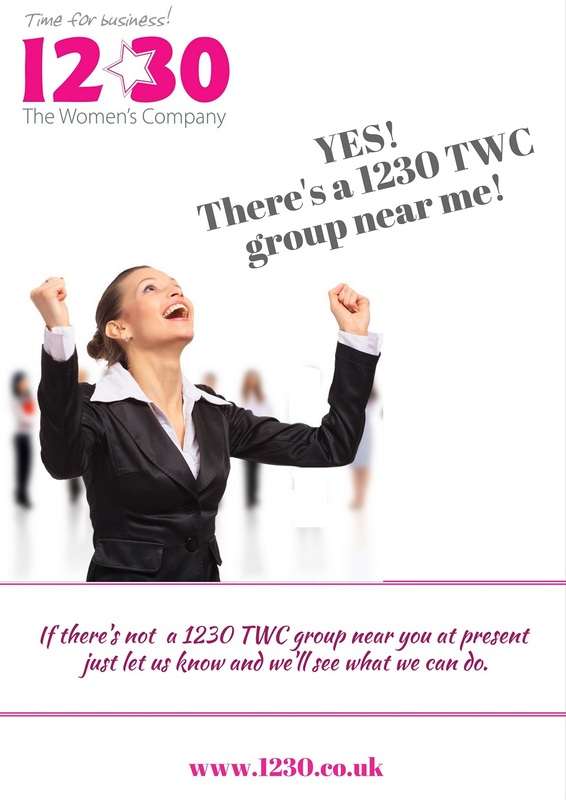 I am so cross with myself for not taking some photos at yesterday’s 1230 TWC meeting! Held in the lovely Orangery of The King’s Arms, it was a lively meeting with plenty of buzz and relationship building – also lovely Christmas goodies from Natalie, Sarah and Marian. Not to mention the “jokes” from crackers! Lovely to meet everyone there in the capable hands of 1230 TWC Host Alex Morgan. So good to have confirmed also the Social Media workshops to start January 2012 with Claire Turner and Michelle Field. Note to self – next time, take photos of meeting and the lovely Malmesbury surroundings! Mary is an established member of her team, with good social and professional relationships with her co-workers. Her boss has managed the unit with a fair degree of success (neither perfect nor imperfect), and everyone knows where the boundaries are and what is expected of them. Boss moves on with fond farewells. New boss Sarah arrives, with her own way of doing things. Sarah was a very popular boss with her old team, and she is well liked by some of the new team. She is very approachable, regularly buys drinks for everyone in the pub, and is willing to bend the rules to help her team members, letting them go home early if needed. Standards are slipping a bit – the old boss was a stickler for detail, whereas Sarah is more of an overview person. No-one from outside would notice the difference, but old team members shrug their shoulders and pick up the slack. Sarah doesn’t seem to know. Why is it we are so bad at change? Planning for change, or accepting changes that are not planned, is something few us are willing or able to do. Sarah went into a new team without a clear plan for how she would evaluate whether change was needed, communicate that change, implement it, and monitor it. She just did what worked well in her old team. Mary did not expect any change except for the name of her boss. When faced with change she resisted it all. Mary: “The boss is the boss. Unless it is dangerous, or illegal, it is her job to say what we do. If you think it is inefficient or there are better ways, have a quiet word with her and let her know, otherwise you need to do it.” And we need someone to feedback to Sarah that she is changing how things are done (she may not be aware of it), and that she needs a process for bringing people along with her and for dealing with Mary. How many HR specialists does it take to change a light bulb? That depends on whether you want to keep the light bulb. Sarah could have a useful learning experience that will enhance her skills and make her next promotion easier, or she could struggle with Mary and slowly begin to fail – she could get stuck here. Mary may even accuse her of bullying, as Sarah repeats the same instructions over and over again and Mary gets progressively more isolated from her team. Mary can learn how to handle change and difficult situations. Or she can campaign against her boss, and sooner or later she will find herself with no promotion prospects, and quite possibly no job. Mary can feel bitter that her lovely job was ‘stolen’ from her by this awful manager – an attitude that may affect her life at home as well as at work. It’s not a big deal to help new managers put together a system of ‘raising the bar’ so that they can change the way a team works. It’s not such a big deal to help Mary (at an early stage) to work out the difference between changes she needs to give feedback on, and those that are not really something to worry about. So where were HR when all this was happening? They were busy with other important things. They had not routinely touched base to see how this team functioned. Of course, when Mary claimed she was being bullied, and Sarah claimed she was totally unsupported by management, HR were all over the investigations like a rash. The hours of note taking and decision making meant they were then too busy to touch base with any of their other teams. Is there a happy ending to this tale? Not really: Mary spent years resenting Sarah, and then transferred to another team. She is not regarded as a popular or successful team member, because she has kept up the habit of complaining about the boss and resisting all change. Sarah never got another promotion in the organisation. She stayed in post for a few years and then got a job outside. She started with her new team in the same way, and is now convinced that people are just awkward and you have to push them harder to get what you want. HR are still doing a lot of paperwork and taking a lot of notes at meetings with unhappy people. No change there then. Employment law is where the rubber meets the road – where people problems become legal problems and the law intervenes. It can’t make Sarah a better manager, or Mary a more realistic employee. It can’t make an organisation introduce the small interventions that prevent this type of problem What employment law does do is penalise and sanction those organisations who get to tribunal after they haven’t done their part and a legal issue has arisen. Of course if there are any ‘equality’ or ‘discrimination’ issues here, this turns into a nightmare scenario. Sarah picked on me because I am white, transsexual….. Even in unfair dismissal terms, the process of performance management can be a very long haul if it is started late and from an already-broken situation. If there were no employment law and the organisation was free to act in any way, would that really solve this problem? To what extent is the very existence of employment law the problem? To my thinking, employment law, if incorrectly applied, can be a complicating factor, but it’s never the problem itself. Giving long serving employees three warnings and an opportunity to change their behaviour doesn’t seem unreasonable. In this situation would you really want to walk in and just sack Sarah or Mary (or both)? There is another complicating factor: in many organisations, both performance management programmes and warnings are often seen as the death knell for individuals – simply the start of an inevitable process of ‘managing someone out of the business’. We need to do something to change that – but that’s not an employment law issue, it’s a cultural one. It’s not employment law that gives us difficult problems. The Sarah/Mary problem is one we get every day, and it has a relatively easy prevention plan, early on. But allow it to fester to the point when employment law becomes an issue, and then you are in for a more painful remedy. Balancing the Bump – Baby comes first, boss comes last? Allie: Nurseries and friends are not always keen to have a sick child. Get to understand the company policy and attitude to family-friendly working and time off should your child be unwell. Good communication and contingency plans are vital. Team work can also play a vital part if you have a hands-on job such as nursing or retail, where covering shifts for each other can be part of the solution. Annabel: From a boss’s point of view, this can be a very frustrating time. One the one hand we all know how difficult it can be when someone at home, particularly a child, is ill. On the other hand, the boss has deadlines and workloads to balance, and needs to have some idea what is happening. There are a lot of imaginary ‘rights’ and imagined ‘no go’ areas. Allie: A mother’s instinct is to be with her child. “My child comes first” is something all mothers think. However it is easy to confuse the child’s needs with your own, and end up deciding that you must be with your child at all times. Annabel: One of the things that mystify me is that women who were keen to have equality and did not want to be discriminated against as mothers or potential mothers often respond to their child’s minor illnesses by saying “I must be there because I am a mother”. If you have a partner, your boss is going to want some understanding of why you are in the front line and not them. They have an equal right to time off for dependants leave, etc. Allie: The type of jobs both parents have is a consideration. It may be that one parent has more work flexibility than the other so that person will take the ‘hit’. (a) provide assistance on an occasion when a dependant falls ill…. Allie: So what does providing assistance actually mean and how much time off can a parent take? Allie: Not everyone can afford to take unpaid time off. The parent who earns the least is likely to be the person who takes the most unpaid dependants’ leave. Many women do take time off to take care of their children, saying that they themselves are sick. But this puts her in the position of lying in order to claim sick pay – which is a sacking offence for most employers. Annabel: Most employers struggle with covering sick leave as well as dependants’ leave. Very few organisations have enough staff to cope well when a few are absent. Depending on what your job is, you may want to talk to your boss about temporarily changing your hours of work (so you and a partner can share looking after a sick child), working from home (but be clear about when you are working and when you are looking after your child), making up the hours later (a form of flexi time), or even using some of your annual leave.